I’ve always pronounced victuals with both the C and the U, like actual. It’s one of those words I’d only seen, but never heard. Or anyway, I didn’t know I’d heard it. I thought what I’d heard was vittles. In any event, this post isn’t about etymology or pronunciation or anything like that. It’s about food. Polish food. 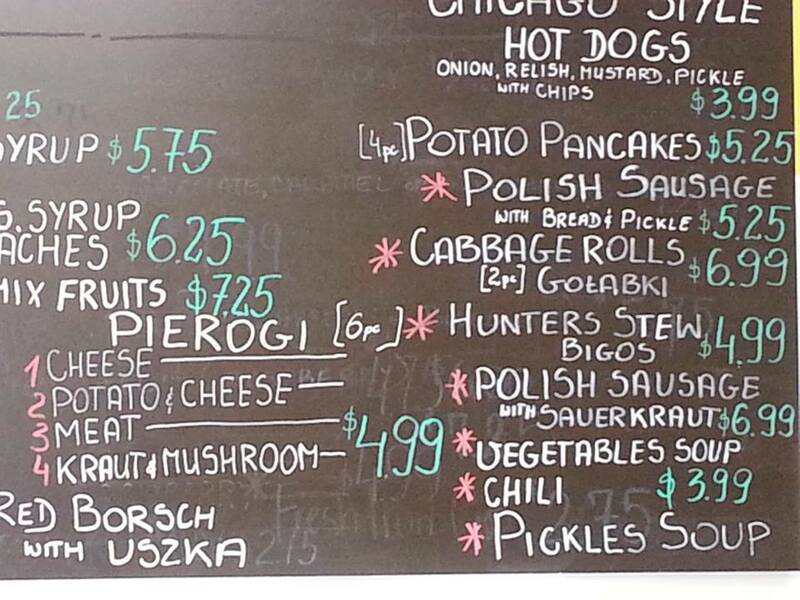 I really wasn’t exposed to a great many Polish dishes as I was growing up. We made chrusti with some frequency, and also my grandmother’s traditional Christmas bread (which I have never found an even remotely equivalent recipe for anywhere, so I have no idea what its Polish name might be). We occasionally had golabki (which is pronounced “galumpki,” and that’s also how I’ve always spelled it), and I heard many stories about “glue balls” but never had the (dis)pleasure of actually trying them, though my cousins did. And of course there were my mom’s pork chops, which I never knew were Polish at all. But that’s it. The sum total of my exposure to Polish food. Growing up, that was fine, but as an adult, and especially since I’ve been writing this book, I’ve wanted more. I’ve bought cookbooks, and of course I’ve browsed the Internet, so I’ve learned a little about Polish cuisine, but I’ve never really had the courage to try any of the recipes I found because I had no way of knowing how correctly (or incorrectly) I might be following them. My one attempt at golabki several years ago was an unmitigated disaster (a story for another time, perhaps), so I was leery of trying anything completely new. My husband and I were walking down the main drag in Wisconsin Dells last summer, just doing the tourist thing, when a little sign caught my eye. 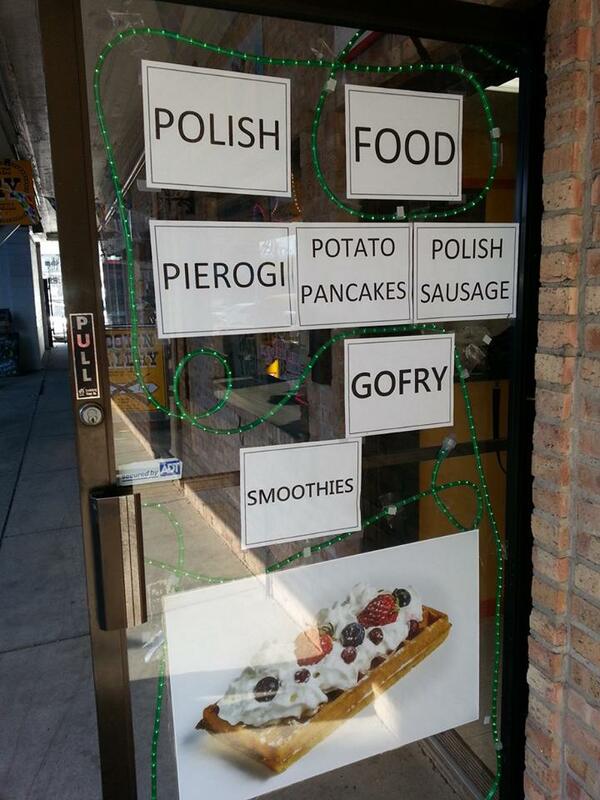 Polish Food, it said, with a little arrow pointing down an alley. I didn’t care. It’s no trouble at all to order food to go. What’s gofry? I wondered. I didn’t know. Turns out gofry is waffles. These people seriously know how to do waffles. The menu offered a wealth of other possibilities, as well. I wasn’t sure where to start. It took me awhile, but I finally narrowed it down. I’d heard of bigos, a hunter’s stew that’s considered pretty much the Polish national food, but had never had it. 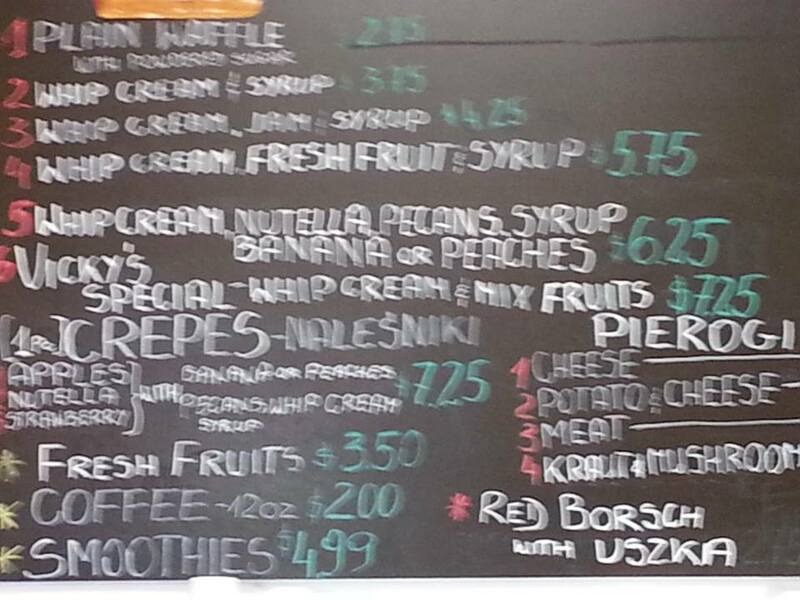 I’d also, believe it or not, never had pierogi. And I had to try the golabki to see what I’d done wrong with them the one time I’d tried to make them myself. Left, bigos; center, potato & cheese pierogi; right, golabki. It was all fabulous. Of course it was. But the very best thing about this unexpected pit stop was talking to the women behind the counter, who spoke with Polish accents. They sounded just like my grandmother. I could have listened to them all day long. But neither of them used the word vittles. I’ve been wanting to get over here since you mentioned Poland and Sammy yesterday. Thanks so much for jumping over. I’m going to have read your whole series once April is over. Poland is Sweden’s neighbor! Pretty cool we have similar themes. 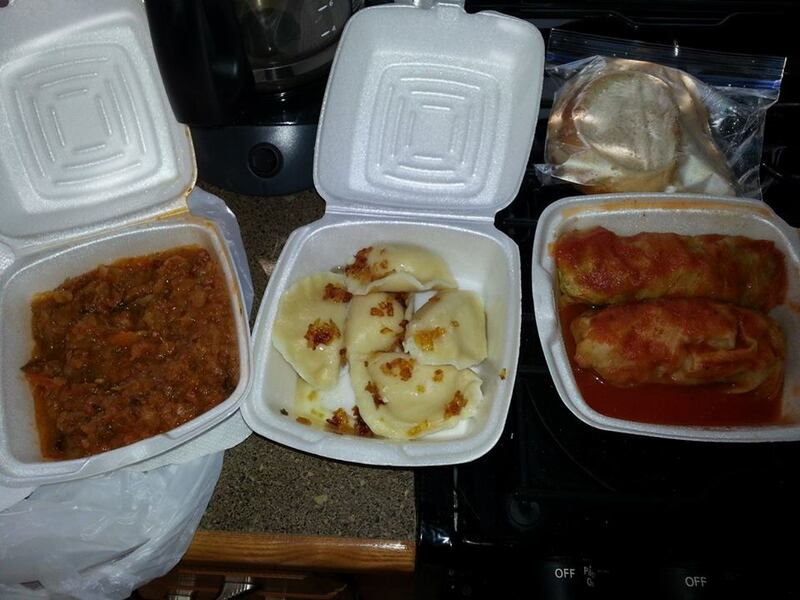 I don’t think I’ve ever had polish food before, knowingly, but that take-out sure looked delicious. And thanks for the victuals pronunciation lesson. I was in your boat before. Great to learn something new! Thanks for coming by! I have a lot of reading to catch up on when the Challenge is over, too. There isn’t enough time in the day for all I want to do! Great choice for the letter V! I felt that way too–I’d never even thought about Polish restaurants before. Guess it was just a meant-to-be kind of thing! Mine, too! It’s got to come in handy somewhere! We went to Amish Country around Lancaster, PA and stopped at a local restaurant to sample their cooking. We spent a long time looking at the menu before decided on a dish to try. We were utterly disappointed to find it to be exactly like a dish I make frequently. Without knowing it, some recipes are passed down, lose their real names and become ordinary fare in our lives. I’m glad you had the chance to sample the foods. They look yummy! What a surprise that must have been! But I think you’re absolutely right. It’s like my mom’s pork chops. I think the etymology of food would be a very interesting topic to pursue!